Cosmetic Dentistry Clarks Summit PA - Cosmetic Dentist Clarks Summit – Restorative Dental Care for Crowns and Bridges in Pocono, Tunkhannock, Scranton, Wilkes Barre and Lackawanna County. Outstanding Cosmetic Dentistry with Kelly Dental Care. Kelly Dental Care serves the Clarks Summit, Pocono, Tunkhannock, Scranton, Wilkes Barre and Lackawanna County areas. We also provide teeth whitening, braces and dental implants. Clarks Summit - Cosmetic Dentist: Cosmetic dentist and trusted cosmetic dentistry with Kelly Dental Care. Contact Dr. Joseph Kelly, Jr to learn about your options. We also provide teeth whitening, braces and dental implants. Cosmetic Dentist - Pocono: Call us today at (855) 695-9464. The team at Kelly Dental Care is highly trained in veneers, teeth whitening and help with dental insurances. Cosmetic Dentistry - Tunkhannock: As a cosmetic dentist Dr. Kelly is also skilled in teeth whitening and veneers. Many patients can now have the beautiful smile they have always wanted. Cosmetic Dentist - Scranton: If you've been putting off dental care for years, now is the time to contact Kelly Dental Care. Call our friendly team at (855) 695-9464 to schedule a consultation. Cosmetic Dentistry - Wilkes Barre: Dr. Kelly and his staff are committed to helping you understand your cosmetic dentistry options. Lackawanna County - Cosmetic Dentist: Dental crowns, veneers and teeth whitening are now available with exciting new dental protocols. Cosmetic Dentist - Clarks Summit: If you are searching for a cosmetic dentist in the Lackawanna County area, look no further! Call Kelly Dental Care at (855) 695-9464 for the professional, affordable dental care you deserve. Dr. Joseph Kelly, Jr and his friendly team are committed to helping your receive the personalized cosmetic dentistry care you need. At Kelly Dental Care our staff is trained in the latest techniques. Dental Care Clarks Summit Pennsylvania – Respected cosmetic dentist offers affordable cosmetic dentistry including veneers, teeth whitening and help with dental insurance. Dental Insurance Clarks Summit PA - Most Carriers Accepted. Dental Insurance Clarks Summit Pennsylvania - Call Kelly Dental Care at (855) 695-9464 - We can help you with your dental insurance needs. Clarks Summit - Cosmetic Dentist: Our patients tell us that they are very pleased with their dental care from Dr. Joseph Kelly, Jr. Personalized service is our highest priority at Kelly Dental Care. If you need to find a dentist contact us at (855) 695-9464 for a map, office hours and directions. We're looking forward to helping your learn about your options for affordable cosmetic dentistry. Cosmetic dentistry in Clarks Summit while you relax with trusted cosmetic dentist Dr. Joseph Kelly, Jr. We offer convenient appointments that are designed to fit your busy lifestyle. Dental implants Clarks Summit can be performed with cosmetic dentistry. 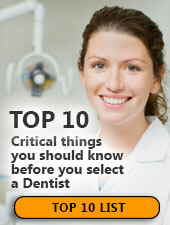 Talk with Dr. Kelly about your options for implant dentistry. Our friendly, caring team of dental professionals is looking forward to meeting you. Dental cleaning in Clarks Summit is now available with a caring dental hygienist. You deserve, gentle, thorough personalized dental hygiene care every time. For highly-regarded New York dentures dentistry, phone (844) 307-3143 to schedule a visit with experienced dentures dentist Dr. Mal Braverman. New York False Teeth - He and his qualified staff at Mal Braverman, DMD, FADFE are happy to help with all oral health needs. To replace missing teeth, contact Townview Dental Care at (855) 267-1521 to schedule a convenient appointment with a respected Brea implant dentist. Dental Implants Brea - Dr. Jerry Wu and his friendly implant dentistry team help patients smile again with confidence. For experienced Azle pediatric dentistry, call Dr. Aaron Blackwelder at (855) 891-4447. Pediatric Dentistry Azle - He is a dedicated pedodontist at Lake Country Dental who makes every child's healthy smile his number one priority. For friendly Helendale dentures dentistry care, visit Dr. Sobha Allada at Park Centre Family Dental Office. False Teeth Helendale - Schedule a consultation by calling (855) 267-1589 to talk with the friendly team about false teeth, partial dentures or denture repair. As a highly-regarded Kansas City cosmetic dentist, Dr. Mark Mancin is known for providing custom-fit veneers, dental crowns and bridges, teeth whitening and restorative dentistry services. Cosmetic Dentist Kansas City - Contact Northland Dental today at (855) 804-8607 to make an appointment for cosmetic dentistry. Dr. Gregg Van Beek is an experienced Aberdeen family dentist who helps patients of all ages maintain healthy teeth. Aberdeen Dentist - Set up an appointment at Northeastern Dental Center for reliable family dentistry by getting in touch at (855) 864-0691. Dr. Gerald Cook, an experienced Edina sedation dentist, helps patients with dental phobias and dental anxiety. Edina Sedation Dentistry - If you're searching for stress-free sedation dentistry, call Southdale Family Dentistry at (952) 926-6081 to schedule at visit. Skillful Orange County Sedation Dentistry - Dental patients searching for stress-free sedation dentistry should call Nicholas Shubin, DDS, DABOI, DICOI, MAGD at (949) 661-2052 to schedule a visit. Dr. Nicholas Shubin, an experienced Orange County sedation dentist, helps patients with dental phobias and dental anxiety. For friendly Park Cities dentures dentistry care, visit Dr. Douglas Jopling at Cosmetic Dentistry of North Texas. False Teeth Park Cities - Schedule a consultation by calling (855) 665-7439 to talk with the friendly team about false teeth, partial dentures or denture repair. To schedule a Valdosta family dentistry, phone Dr. Brad Bynum at (229) 242-0825. Valdosta Dentistry - Speak with his friendly team at North Valdosta Dental Care about all of your family dentistry needs. Cosmetic dentist in Clarks Summit, Pennsylvania and the surrounding Pocono - Tunkhannock - Scranton - Wilkes Barre - Lackawanna County PA areas.